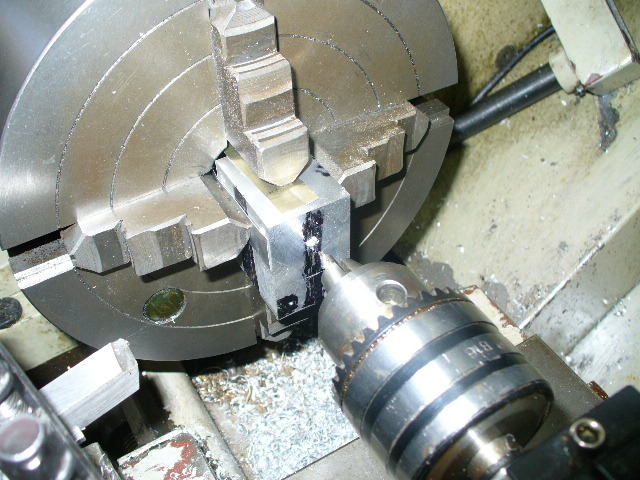 Hi All, The Sharps cartridge originally came out with a paper patched bullet, Sooooo, using my poor long suffering lathe to have a go at making one. 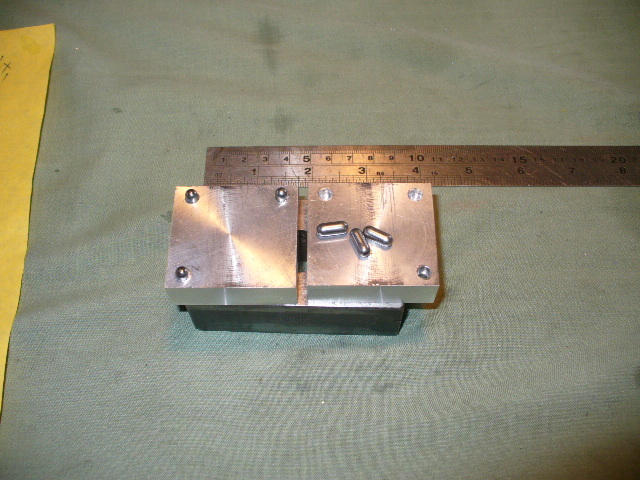 Using ali I cut out two blocks for a double mould, the blocks are clamped in the fore jaw chuck and machined square on the sides. Pics, Hombrew.357. , All nice and square. veitnamcam, gadgetman, kimjon and 2 others like this. Ok, now the next bit is to machine two of the ali blocks faces true, again set up in chuck and skim one face on each block. 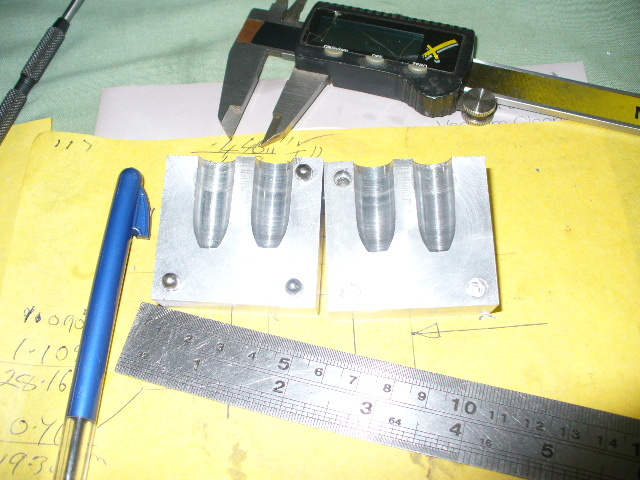 Now the two faces will be the inside of the mould but before drilling the blocks for casting holes they must be made to clamp in the same spot, and to do this I fitted three pins to line up the blocks. You can make up the pins but I had some from a junked drill that did the job . 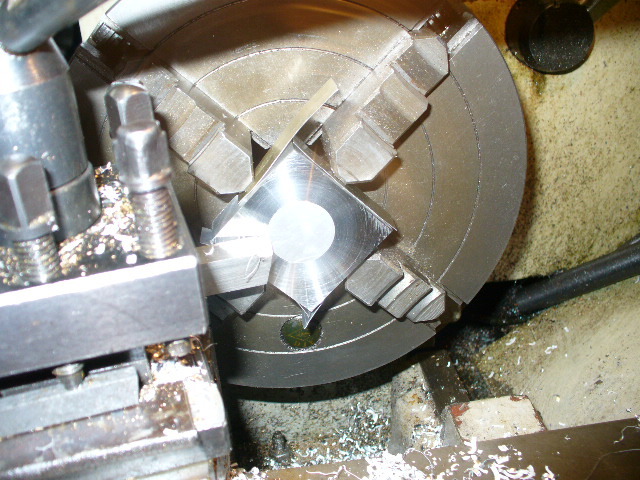 Three holes are drilled through one block and just a bit into the other block while they are clamped together , the holes are just a bit smaller than the pin diameter for a press fit in the block with the through holes. 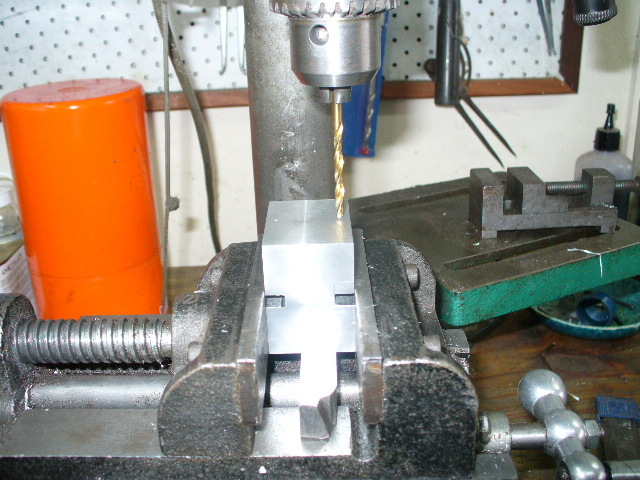 The block with the shallow holes is redrilled with a drill the same size as the pins so when clamped together they line up the blocks. 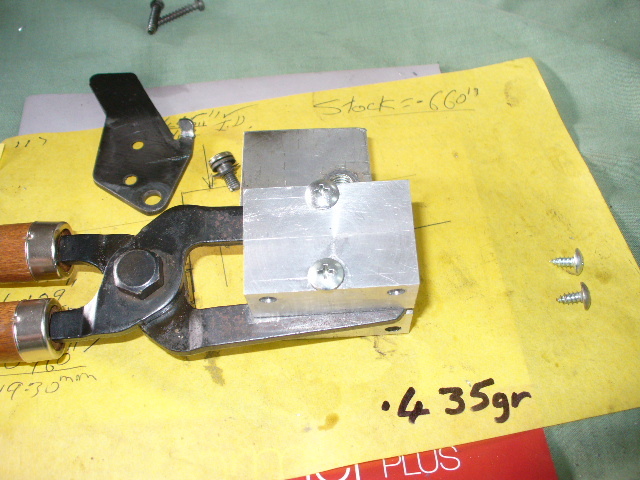 Hope you get the idea, , ok the pics should fix it, Homebrew.357. , Face cleaned up. 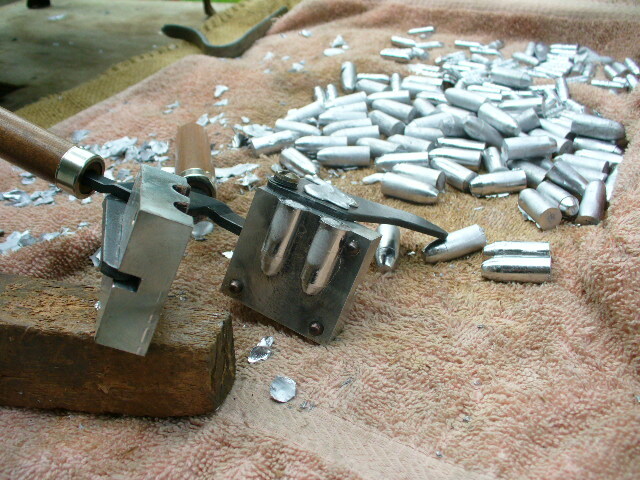 , Ready for the casting holes. gadgetman, Maca49, Beaker and 2 others like this. Looks good! Why 3 pins instead of 2? So from now, you drill and then make up a boring bar? 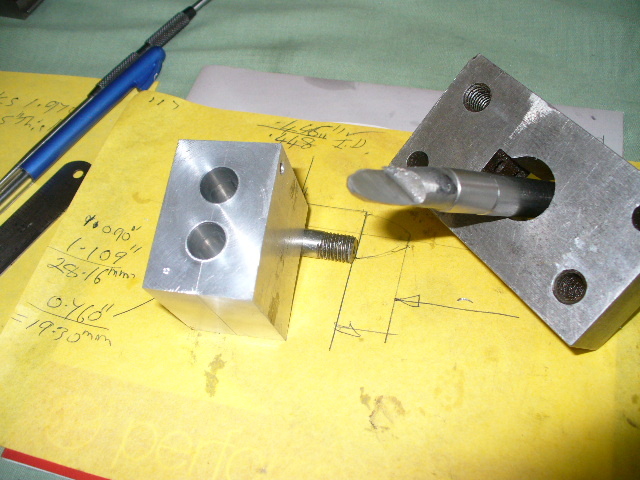 I just put in three pins, , more the merrier, but it works, and no boring bar, I made up a "D" bit from sliver steel the shape of the bullet. 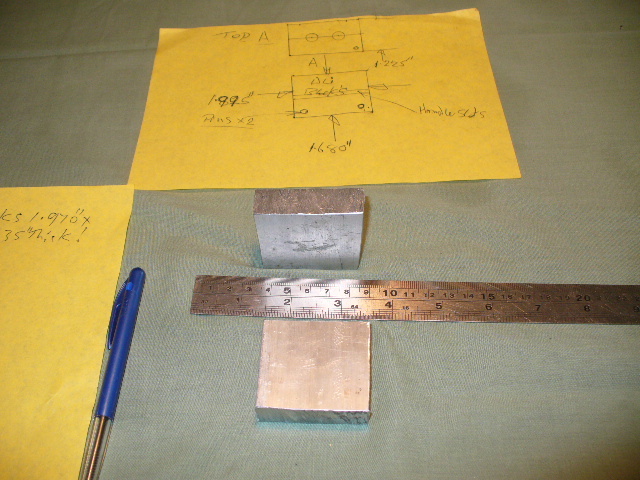 I`m using handles and spruce cutter for another mould, so to set up for the casting holes I line up with the spruce cutter to mark it out. 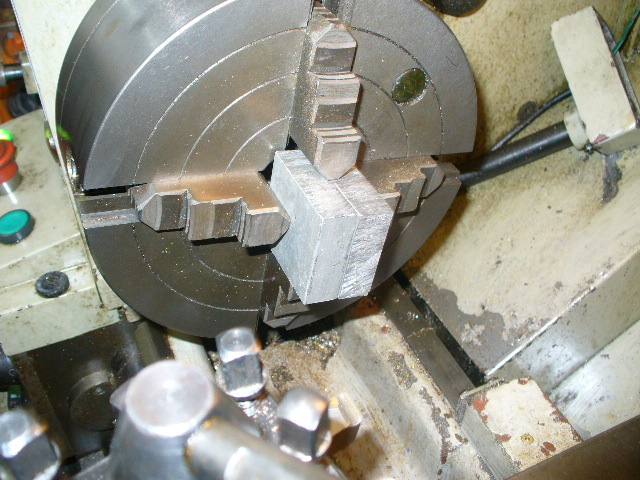 The blocks are clamped in the chuck and the first hole is lined up, the drilled in with a small drill to the length of your bullet. 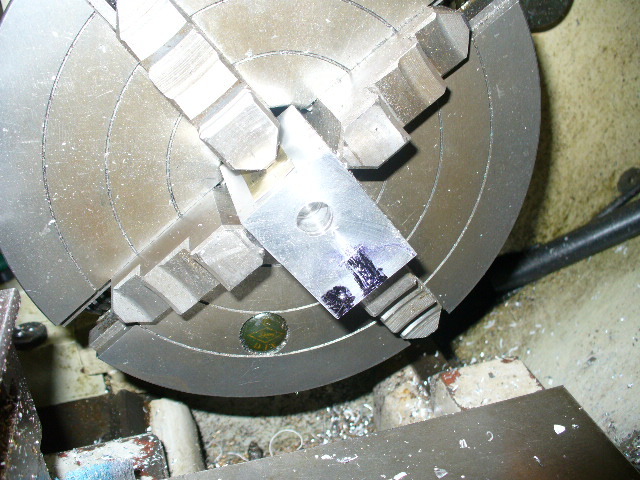 A larger drill next, but only in to the ogive of the bullet, or just back from the nose, the hole should be just a bit smaller than the D bit so it has not much cutting when going in. 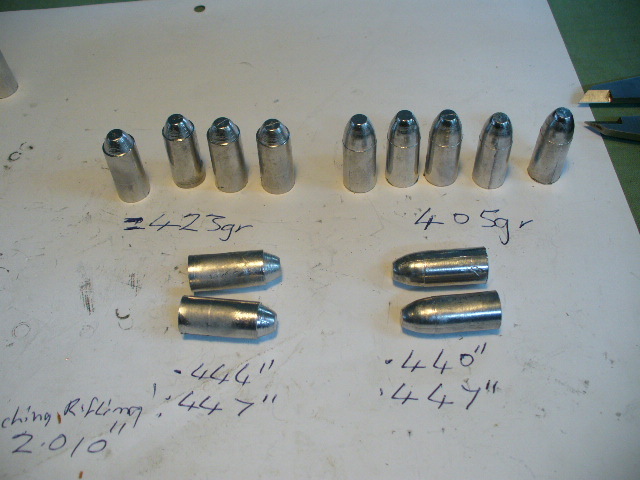 Here's pic`s of the action, Homebrew.357. 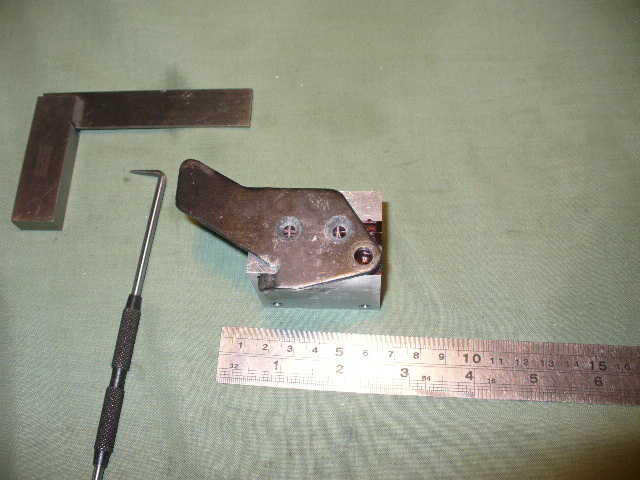 , Spruce cutter for lining up. 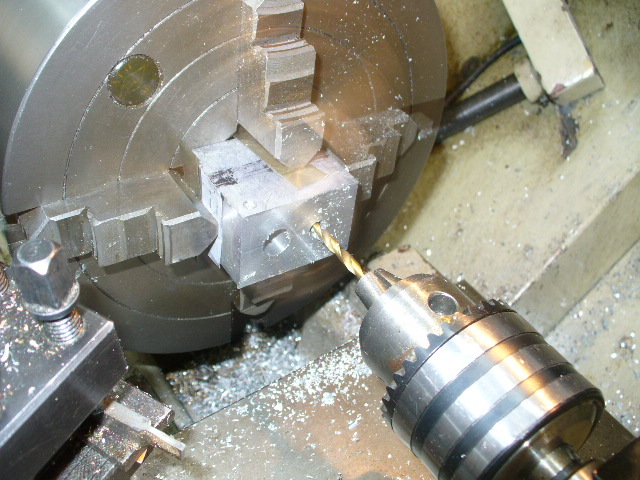 , Centre then small drill. 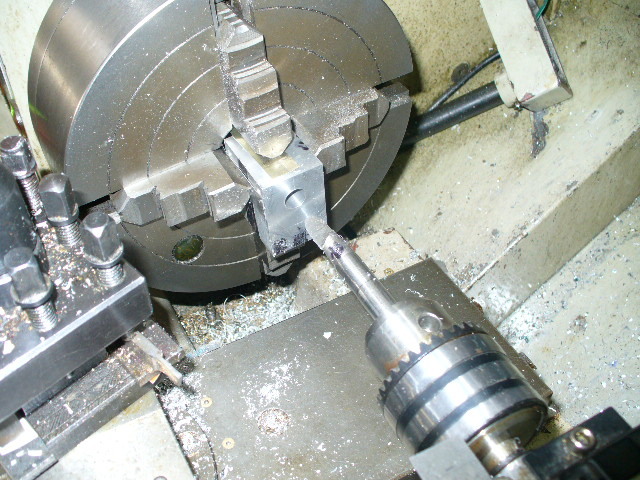 , Enlarging hole for D bit. , D bit ready to go. gadgetman, Beaker, Jimmynostars and 1 others like this. 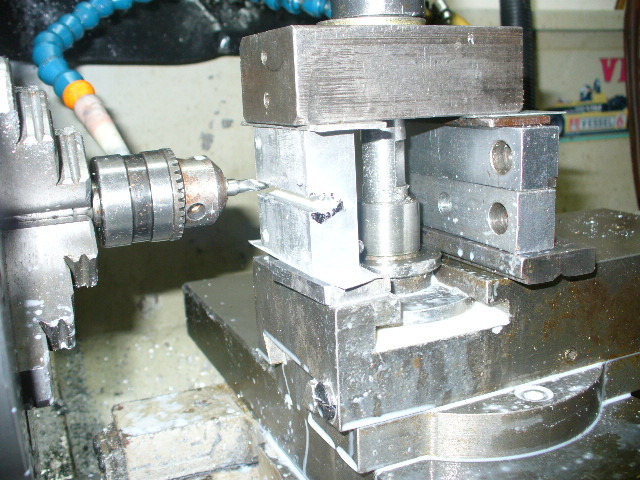 When the first hole is drilled and finished the blocks are reset up for the second one and all repeated again, It is best to go in a few times with the D bit to take out the spring in the tool ,specially at the nose of the mould, it`s cutting a large area. 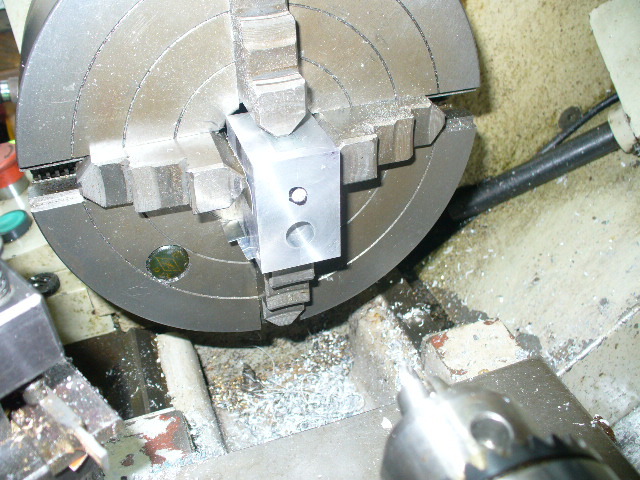 All is revealed when you remove then from the chuck and you can see what you have got, ,Homebrew.357. , Other hole lined up. 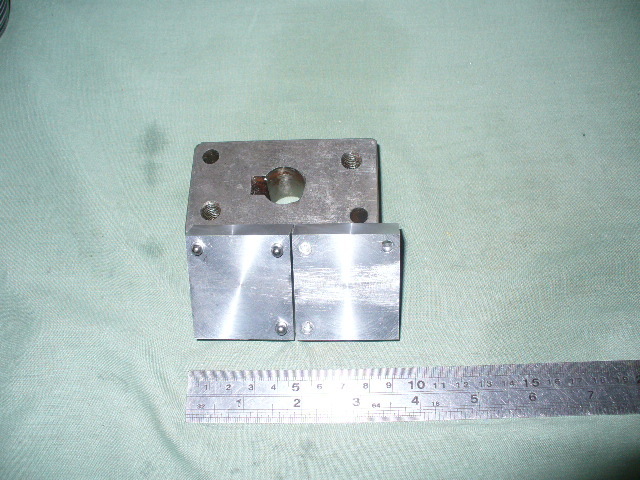 , Now you see what you have got, A paper patched mould. Soot them up and into it! 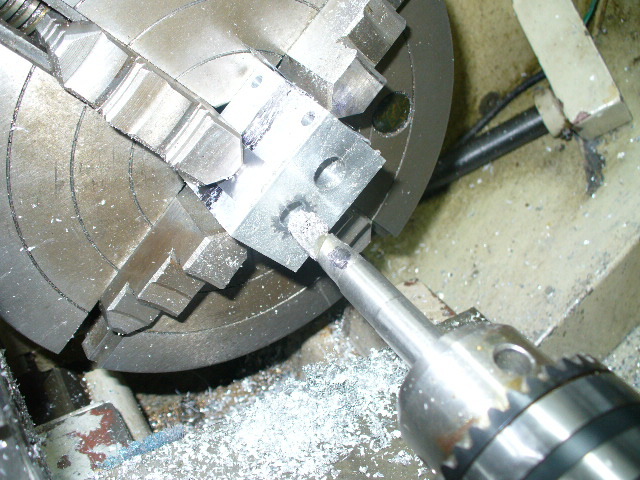 I thought it was Gadgetman who had the new old lathe, give him something to do. Now Maca49, don`t rush me, all will be revealed. 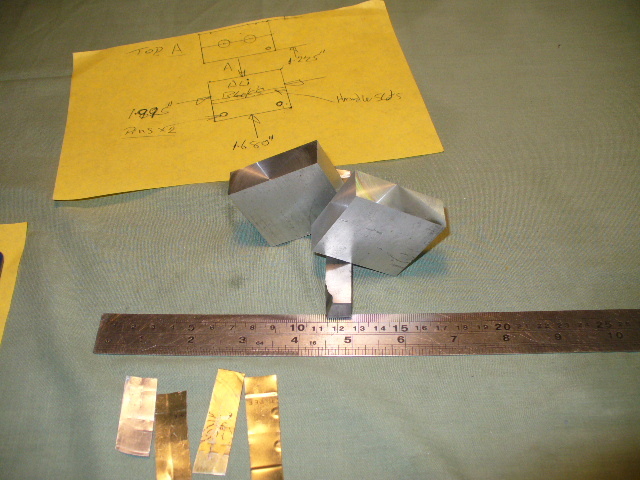 First off is the stuff ups, , yes I do make them, the d bit left a taper in the bullet mould, so a small boring cutter was used to straighten them out. 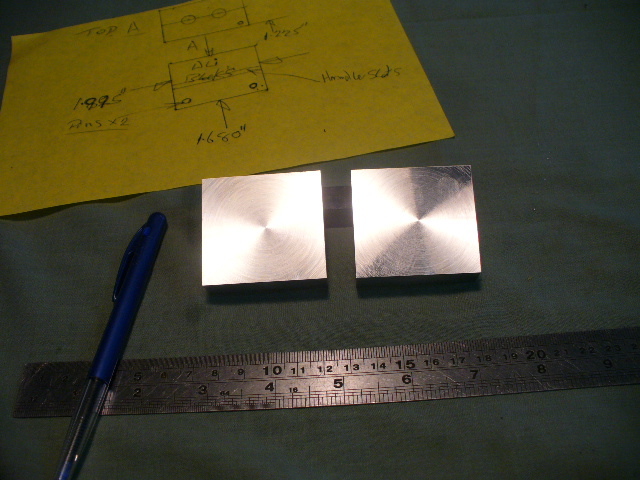 One of them I used a rubber verier gage and went in a bit to far, but it`s ok, just a bit heaver . 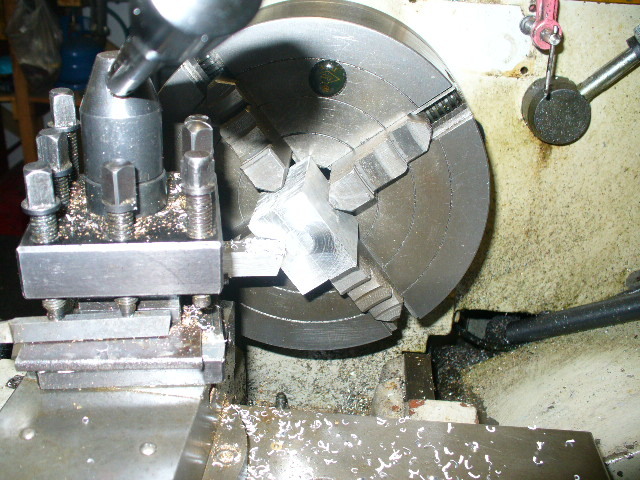 The next job was milling the slots for the handles , yep you guest it , on my lathe , then drilled two pin holes to holed the handles on, two screws to holed the pins in and fit the spruce cutter, it`s good to go. I will not know what I`v got till I do a bit of casting, can't stand the suspense ! , Homebrew.357. , Two screws to hold them in. So with a bit of a break in the weather I set up and had a casting session, some for my 3030, .308, (No I bought that mould), and the big stuff for the Sharps. The mould was good to cast with and even though I had two different bullet weights, 423grs, 405grs, I was quite pleased with the result. 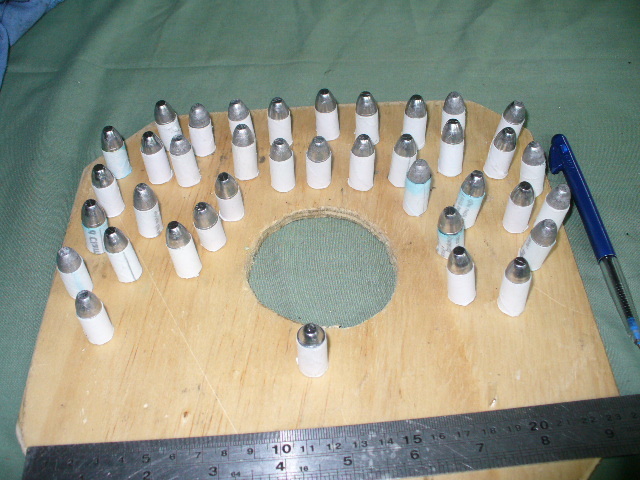 I then pp a few so I could load them up for a range shoot, with paper on the bullets were 461" Dia, resized to 459" in a sizing die I made and loaded up 10 rounds. At the range I had to reset the sights, as last time I found the fore sight was lose, shooting at 100m first shot low, then 4 left, set the sights and a six o'clock hold not to bad for a home made barrel and home made pp bullets, .Homebrew.357. , Here's what I got. , I just used printing paper, A4. , At 100m, coming on, man it is a buzz to shoot. veitnamcam, Beaker and Mathias like this. 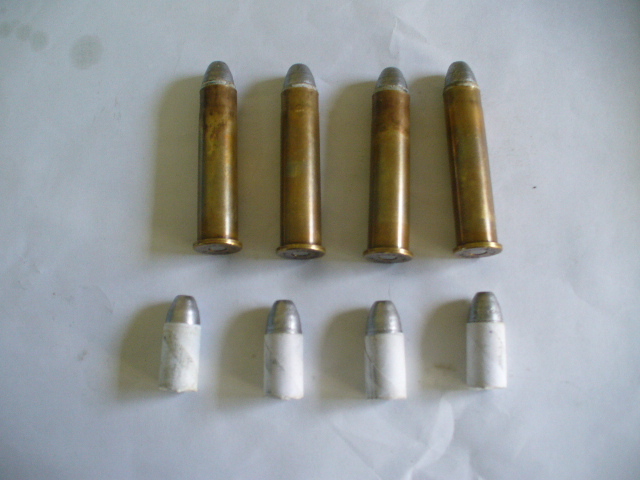 Hi Guys, Now the 45-70 a mans cartridge, some thing to rattle your teeth, when it gets down range it speaks with authority . Here are some of the pp howitzer shells ready to go. Cheers, Homebrew.357. You use standard copy paper? I use dress maker pattern paper, does your paper stay on the projectile or shed as it leave the barrel? Even the base paper staying attached can cause accuracy probs. I don't patch my 45/70 cartridges, just the 500 express and the 577/450 because I can't crimp them. Hi Maca49, I put a bit of flour in the water, soak patches and roll on, fold over the base and stand over night. 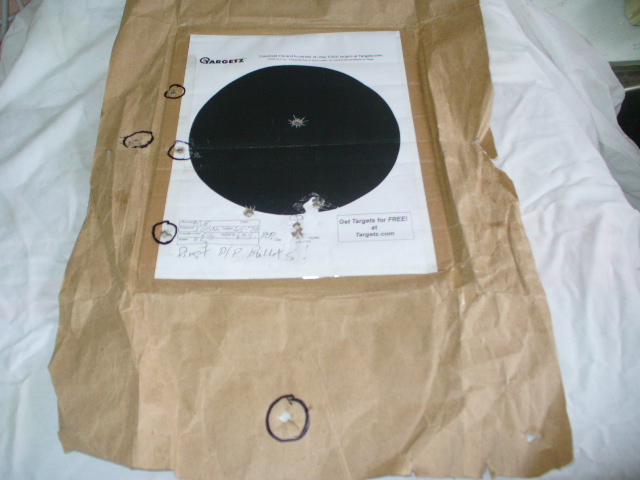 Roll on my lube pad and size to 458", 65grs 2f and there is paper shredding's at each shot, I don`t think it sticks to the back , haven`t chased one down the range to see. . I`m shooting for grouping at this stage, its no tack driver being a home made barrel , but will keep at it , every time I clean it I polish the barrel as well. So will just stick to my standed loads till it comes together. Cheers, Homebrew.357. Well that's a diff way to mine!